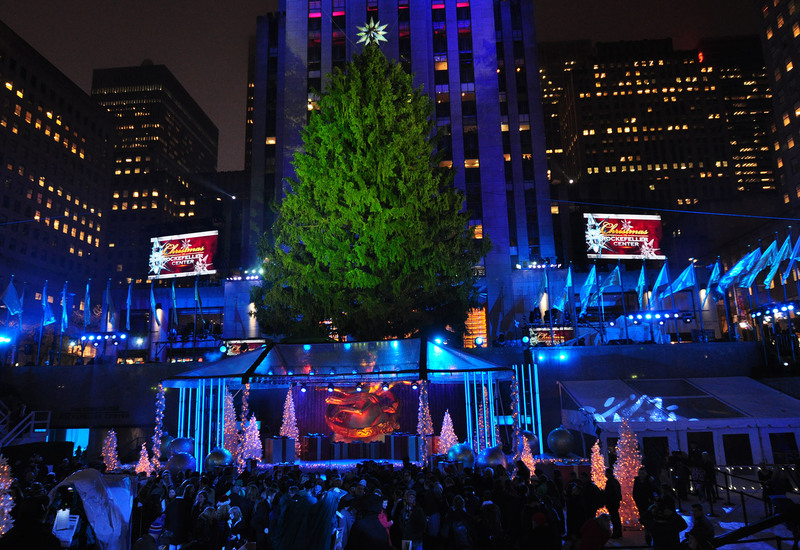 Every year, NYC kicks off its holiday season with the lighting of the Rockefeller Center Christmas tree. Swells of crowds fill the city streets making it hard to catch a glimpse of the iconic event from blocks away. The Upstage Video team provides 6 LED screens, a full array of TVs and signal distribution in 3 surrounding buildings for a slew of VIP viewing areas. 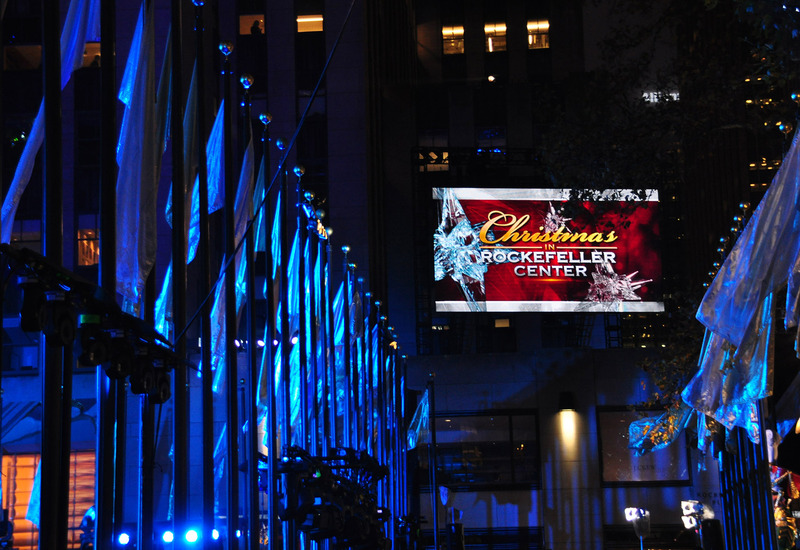 Two 15’ x 27’ ROE MC7 screens are erected on the setback rooftops of 30 Rock directly behind the tree. In addition, two 7’ x 13’ 8mm screens are hung on our V-tower support systems and placed in multiple locations around the event. 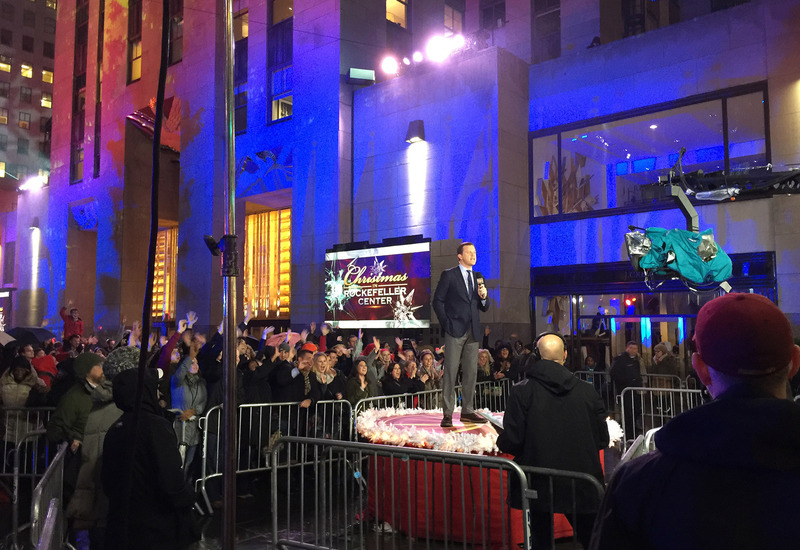 Two 11’ x 18’ 8mm mobile screen units are used to provide a view to the overflow crowds on both 49th and 50th streets.